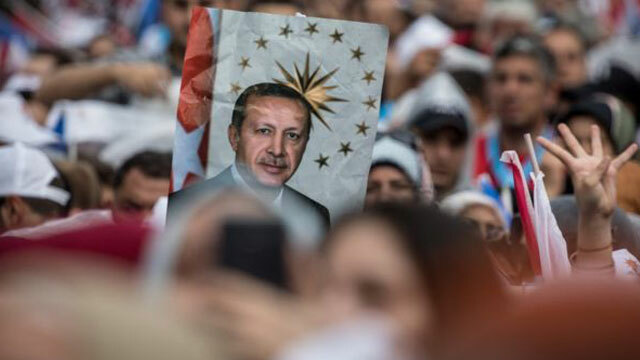 Ankara, Jun 24 (Just News): Turkish voters are going to the polls to decide whether to grant President Recep Tayyip Erdogan a second five-year term, in the most fiercely fought elections in the country in years. Polls opened at 08:00 (05:00 GMT) in presidential and parliamentary votes. If Mr Erdogan wins, he will adopt major new powers that critics say will weaken democratic rule. But he faces a major challenge from centre-left candidate Muharrem Ince of the Republican People's Party (CHP). What do the candidates say about each other? Mr Erdogan and his main rival Muharrem Ince both held huge rallies on Saturday, their final day of campaigning - and each branded the other unfit to run Turkey. "If Erdogan wins, your phones will continue to be listened to... Fear will continue to reign," he told at least a million people gathered in Istanbul. "If Ince wins, the courts will be independent." Mr Ince also said that if elected, he would lift Turkey's state of emergency within 48 hours. Emergency rule allows the government to bypass parliament. He accused Mr Ince - a former teacher and MP of 16 years - of lacking the skills to lead. "It's one thing to be a physics teacher, it's another thing to run a country," Mr Erdogan said. "Being president needs experience." Image caption President Erdogan urged supporters to teach the opposition a lesson "within the limits of the law"
He told supporters he planned to push through more major infrastructure projects to boost the economy.